It wasn’t on purpose. My foray into publishing was actually by default. I had already written two books, published in the traditional way. They were the result of an insatiable curiosity. I wanted to buy a book that didn’t yet exist. In my naïve world, I decided that there must be many people that shared my interest and I managed to convince a publisher of this notion. 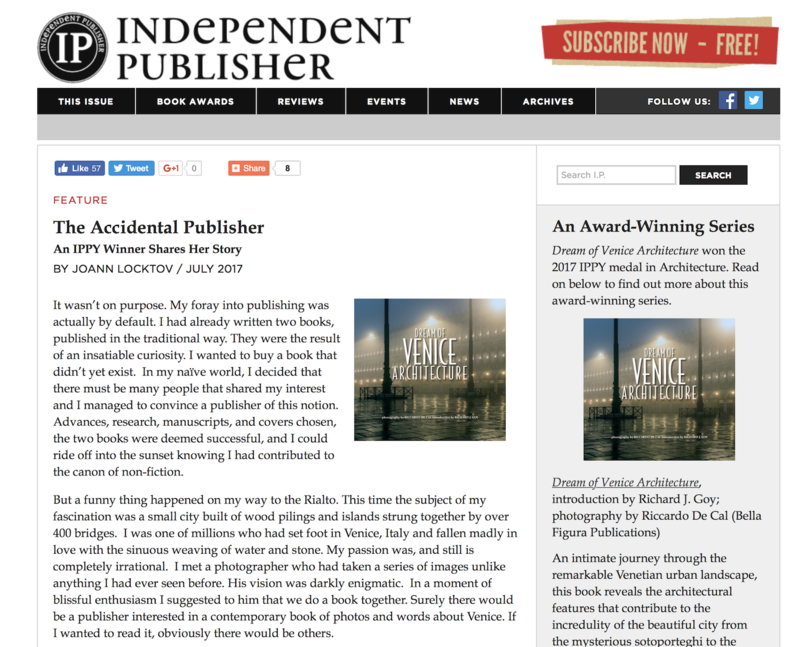 Advances, research, manuscripts, and covers chosen, the two books were deemed successful, and I could ride off into the sunset knowing I had contributed to the canon of non-fiction. But a funny thing happened on my way to the Rialto. This time the subject of my fascination was a small city built of wood pilings and islands strung together by over 400 bridges. I was one of millions who had set foot in Venice, Italy and fallen madly in love with the sinuous weaving of water and stone. My passion was, and still is completely irrational. I met a photographer who had taken a series of images unlike anything I had ever seen before. His vision was darkly enigmatic. In a moment of blissful enthusiasm I suggested to him that we do a book together. 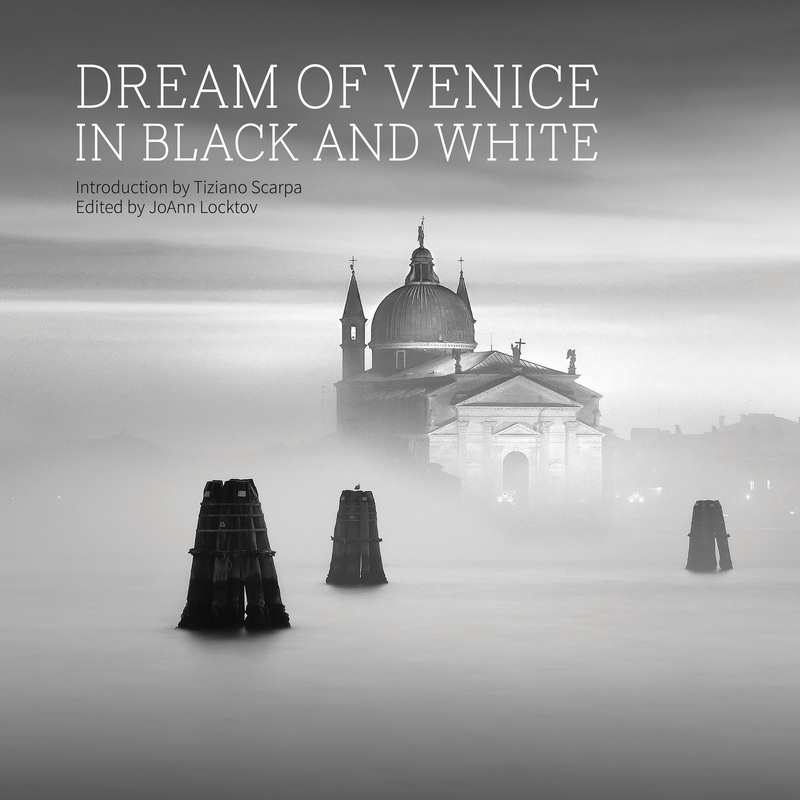 Surely there would be a publisher interested in a contemporary book of photos and words about Venice. If I wanted to read it, obviously there would be others. See the remainder of the article. Other mentions of the books on this site.